Wonderfully wicked, this figurine will be a fantastic addition to your Disney collection. 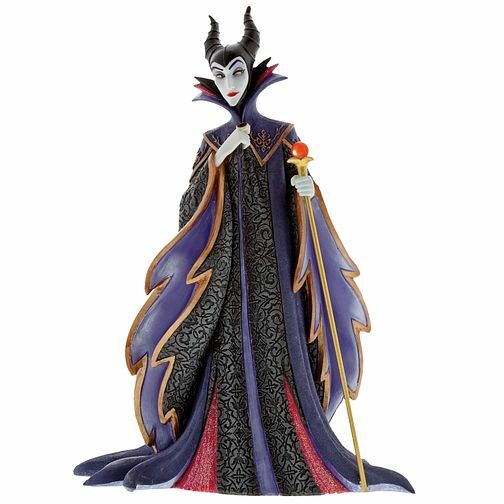 Hand-painted and crafted from solid resin, this collectible is the perfect replica of evil fairy godmother from Disney’s hit film Maleficent. Boxed up in a stylish gift box – she’ll make a fantastic surprise for that special someone. Note that the colours will vary from product to product. Intended for adults only. Disney Showcase Maleficent Figurine is rated 5.0 out of 5 by 2. Rated 5 out of 5 by Anonymous from Perfect Present I got this as a present for my fiance and it looked better than expected. Perfect for any Disney fan.